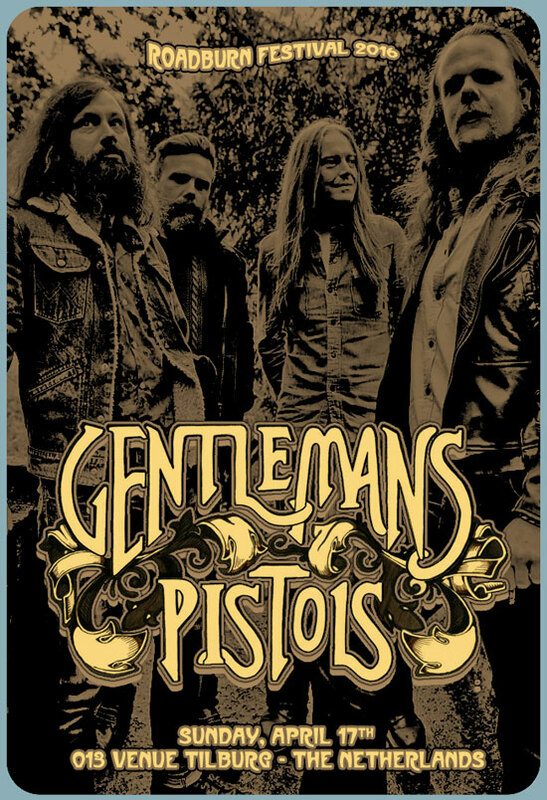 Gentlemans Pistols bring with them the promise of a good old fashioned Yorkshire knees up; a party long into the night, with the drink free-flowing and the riffs a-plenty. The raucous four piece have been packing out sweaty venues around Europe for years now, honing their rock’n’roll swagger into a not-to-be-missed, electrifying live performance. Walter & co are thrilled to have the retro-infused four piece bring their melodic grooves to Roadburn, on Sunday April 17, 2016. Gentlemen, hustlers – and everybody in between – are more than welcome.